The Cove provides some of the best accommodation Yamba has to offer. Comfort and quality are very important when choosing where to stay while on holiday. After all, you need to be able to rest and rejuvenate each evening, so you’re ready to go out and enjoy the beaches, events, dining, and history that makes Yamba such a wonderful place to visit. Why should you book your next stay at the Cove Yamba? Location is important when choosing your accommodations in Yamba. The Cove is located right where you want to be, walking distance from the beach. You can also access restaurants, cafes, and more on foot. The closer you are to it all, the less you will have to spend on travel arrangements! 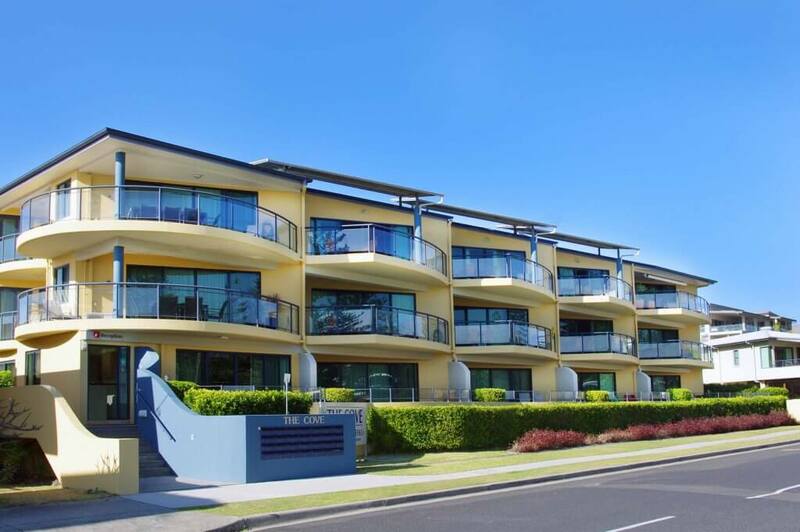 The Cove Yamba offers 1, 2, and 3 bedroom units. Individuals and couples may prefer the 1 bedroom apartment while larger families may request a 3 bed space. Studio apartments are also available. Each comes with a balcony, air conditioning, opening windows, and complimentary WiFi access. All guests can use the heated spa and outdoor swimming pool facilities located on-site at the Cove. Take a dip in calm, clear water when you don’t feel like trekking to the ocean. If you want to de-stress and unwind, enjoy the heated spa. Have fun and stay fit by visiting the public tennis court located across the street. Get a great workout and enjoy some sun and fresh air before returning to your beautiful holiday apartment. The allure of Yamba doesn’t stop when you step off the beach. The Cove offers breathtaking ocean views as well as a lush garden courtyard. Enjoy plenty of natural beauty in the form of green plants and blue sea, all within sight of your apartment. Now is a great time to book a stay at the Cove Yamba. You get all the basic amenities you would expect from a traditional hotel, along with many luxurious extras. The service is personalised and you can access all the best the town has to offer on foot. Get in touch today to discuss your stay at The Cove Yamba.